Promote Your Business for The Best of Ocean City® 2019! 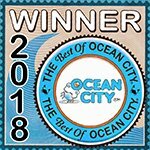 OceanCity.com’s ‘The Best Of Ocean City’ poll is the longest running, most prestigious award of it’s kind in town. Last year’s polls saw nearly 60,000 votes in 38 categories. Now in its 9th year, the Best of 2019 promises to see bigger and better participation as voters cast ballots for their favorites in 39 categories, including dining, bars, activities, and the boardwalk. 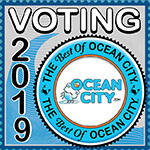 Winning businesses will be included in OceanCity.com’s The Best of Ocean City 2019 pocket guide, receive online recognition, and receive a certificate of achievement and decorative window decal to display. Please use the following resources to increase awareness of the competition to get more votes for your business and help you win The Best of Ocean City 2019! Step 1: Share the voting link on social media and your website. Select any appropriate categories you wish to compete in from this drop-down menu then click to share the links to your social media accounts to allow your followers to easily cast their vote for you. We also provide you with code to paste into your website. Step 2: Print the poster and display it prominently in your business. 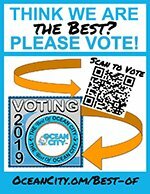 Download this snazzy full-color poster to display all around your business to remind customers you’re an OceanCity.com ‘Best Of’ nominee and want their vote. Don’t have a color printer? No problem! Click here to request posters. Step 3: Request FREE cards to give to your customers. Request FREE ‘Best Of’ business cards to include with your customer’s checks or to pass out to patrons so they remember to participate in voting and show their support for your business. 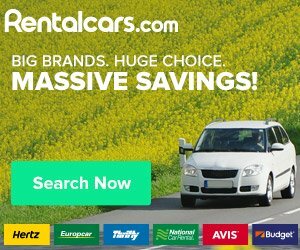 Click here to request your free promotional business cards! Step 4: Show off your latest victory. Place the following code prominently on your website to show visitors that you are the best of the best for 2018! Ask them to help you defend your title. Use the form below to request materials to promote your business for The Best Of Ocean City 2019 voting. We’ll either ship the materials to you or hand deliver them. Please allow a few days to process your request.